My father is my hero. Growing up, I tried to make him proud by imitating him, how he talked, walked briskly, was confident and bold with his presence. How he was always especially kind and thoughtful to those he believed were forgotten. I also picked up his flirtatious approach, which didn't work quite as well with men but got a flock of women following me around when I wasn't interested. Despite his inherent panache, my dad is also fundamentally French. He completely gives up trying to solve anything he feels uncertain of, seeking instead a whole host of "experts" to do his bidding. This has led, for example, him to give free reign to my ex-stepmom (they are divorced, may she rot in hell) to indoctrinate me in "female education". Needless to say I found a pair of gloves as soon as I could, and a ring, to prove how "female" I could be. I've picked up my father's self-distrust when it comes to figuring s*** out. I am by nature a risk taker (thank you mom). So I started Azure, and then I spent a f*** ton of money trying to find people to tell me how to build Azure. Needless to say: I've wasted time, energy, and money. It's a lesson I think applicable to all. We live in an economy of services where "experts" and "consultants" come a dime a dozen. Talent, on the other hand, is invaluable and... useful! The crux of the issue is that I didn't know how to rate experts, how much a project costs, and if it wasn't better to try and do it myself. The answer, for the vast majority of my activities so far is: DIY! You learn yourself how to do things, understand the limit of what you can actually do and finally, when you speak to someone who claims to be an expert, you can more easily judge if they are full of BS. This is why, after working with various branding peeps and wasting a lot of money on designs I wasn't convinced by, I approached Matt, a phenomenally talented designer, with weariness. I knew how much I could spend (not by hour but by project), we agreed that after 2 different iterations, I could decide whether or not to continue. Matt was gracious and agreed not to get paid if I didn't like his work. Best part: Matt is an ultra runner.  My experience working with someone who is criminally honest, preposterously talented and who simply "gets it" has been one of the best experiences of building Azure. I wanted to share some of Matt's designs, to show the world the dexterity of his creativity. Because he deserves it. Thanks again Matt. Please please please, check these out! Fundamentally, my experience with Matt showed me how I can shift so called power dynamics: I am in the driving seat and determine the parameters of how we work, instead of agreeing dumbly with what "experts" tell me I should do. don't hesitate to tell people to f*** if you aren't 100% convinced about someone. Good luck. And thank you Matt.